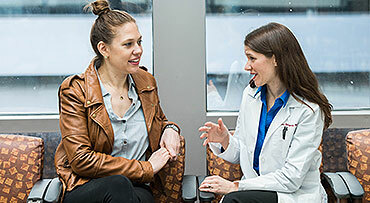 At UChicago Medicine, experts in women's health collaborate to support each woman's personal health goals. Our team empowers women through education to understand and minimize their unique health risks. Trachelectomy is a surgery so rare that only one doctor in Illinois performs it. If successful, it would enable Jennifer Zinga to have a third child, despite being diagnosed with cervical cancer. Against all odds, Jennifer and her husband, Tim, welcomed their third son, Rocco — just 19 months after her surgery. [MUSIC PLAYING] I got a phone call from my doctor telling me to come into the office to review and to discuss my current test results and my heart immediately sank. We sat down, and I remember hearing cancer and hysterectomy. And everything else was like-- like I'm underwater. Throughout the process, our end goal was, you know, to be able to have at least one more child together. And I came across a study that was done, and it had to do with a radical trachelectomy. So I went for my second opinion. And I randomly asked the doctor if he knew anything about a procedure called a radical trachelectomy. He referred me to Dr. Lengyel at the University of Chicago Medicine. And from there, that's where our journey began. 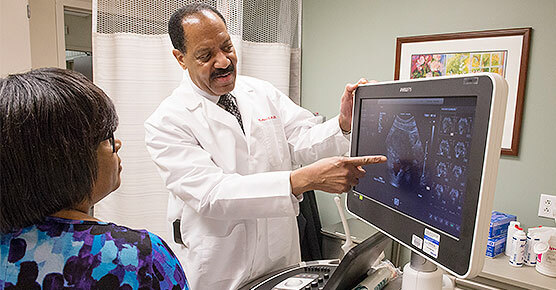 We at the University of Chicago Medicine offer new methods to preserve fertility and allow her to carry a baby in the future. I went to London to learn another procedure, which is called a radical vaginal trachelectomy, where you remove the cervix and the surrounding tissue while preserving the uterus. I think that's when it became real for me. And leaving, like, my husband that morning and knowing that our two kids are at home, it was scary. I just waited for what seemed like eternity until Dr. Lengyel came through the door. And he already had a smile on his face when he came through the door. And he's like, you know, everything went perfect. I mean, absolutely the way I wanted it to and what a relief. Afterwards, it was definitely me relying on family and just kind of letting go and saying, OK, I do need help. I can't do it all. We had a great-- Jen's parents were a huge support, taking the kids if we needed them to so Jen could rest or I could continue to work. When we found out she was pregnant with Rocco, it was pretty amazing. And everything went as smooth as it did during her pregnancy. It was quite amazing as well, too. It was a very joyous moment for her and for us as the treating physicians that the surgery was successful, and she was able to become pregnant and successfully carry a baby to term. It was a very emotional moment for her and for me, because we talk about the potential success, but to see and hold the success in your arms is a big difference. Rocco is a happy, healthy four-year-old, who is rambunctious, very energetic. He is in preschool. We're very happy. I mean, we weren't a family before him. We know that. I mean, without him, I mean, he's changed our perspective on miracles and all those types of things. That's for sure.